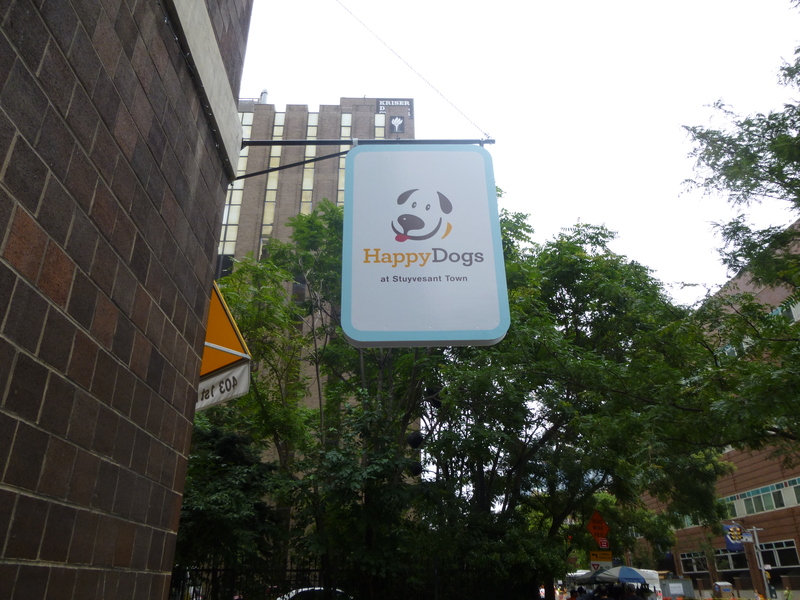 At Happy Dogs Stuyvesant Town, a dog daycare, bath and boarding business that opened last summer on First Avenue between 23rd and 24th Streets, the owners are suing a former dog trainer they worked with, accusing him of pilfering their pooch clients for his own dog walking and training business. Additionally, according to the suit, which was filed by owners Jennifer and Ien Cheng on Tuesday, the dog trainer, Peter Cooper Village resident Blake Rodriguez, has been illegally boarding dogs in his apartment on East 20th Street. In 2012, The Chengs said they’d asked Rodriguez to train dogs at their Williamsburg facility, one of two Happy Dogs centers they now own and at that time, the only one open, though there was a plan to expand the business to Manhattan. According to the suit, under the agreement, the owners were to provide the space, promote the training service and he’d collect two thirds of the money brought in as a commission. Additionally, they said, the contract called for him not to compete with their business or work for any competitor within a three-mile radius of Happy Dogs during the contract and for 12 months following termination of the agreement. But, they argued, he’s been doing just that by opening his own center early in 2014 on Attorney Street. They’ve noticed that since then, they’ve seen photos online of Rodriguez with dogs that used to be their clients or that have been coming to Happy Dogs less lately. Rodriguez, they said, had been a trainer with his own company, Dream Come True K9 (DCTK9), since 2010. His services included boarding and extensive training for behavioral issues. The Chengs said until he trained at Happy Dogs, he hadn’t offered group training. When the first training class was held, in 2012, 80 percent of the participants were already existing Happy Dogs clients. They also said in the suit that they recently discovered that in addition to training, Rodriguez was also providing boarding for dogs not in the board-and-train program. They did know about dogs being boarded for a specific training program for dogs with “significant” behavioral problems. This wasn’t a conflict since Happy Dogs didn’t offer the service. It is noted in the complaint, however, that is against New York health code and against Peter Cooper Village/Stuyvesant Town leasing policy. Though the business relationship between Happy Dogs and Rodriguez began well, he had expressed interest in wanting to open up his own training center in Red Hook. The Chengs said Rodriguez told them in October, 2013 that it would be a rehabilitation center for dogs with behavioral issues, and he asked them to invest $75,000. The services, he said, would be similar to those offered by “Dog Whisperer” Cesar Milan. 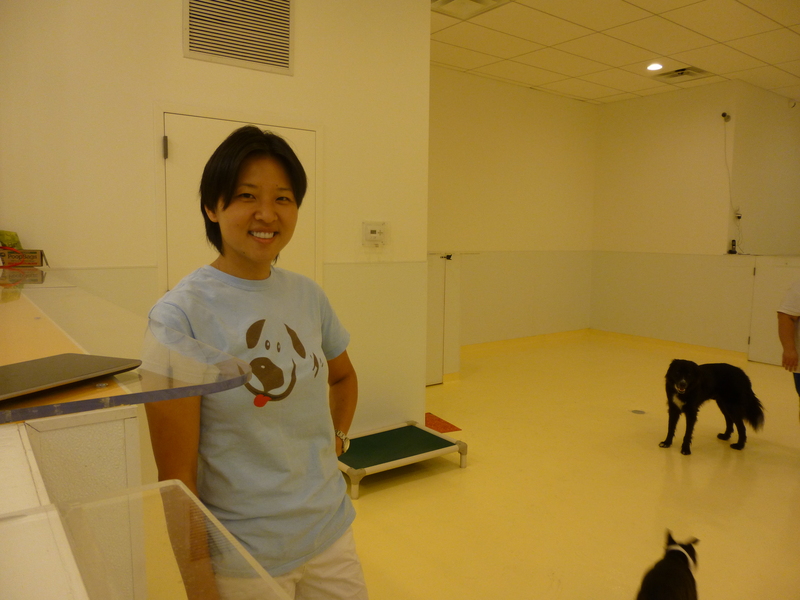 Later, after seeing a business proposal, which described the center as a “one stop shop for the urban dog owner,” with daycare as well as boarding for dogs not in training, Jennifer Cheng felt that this would actually be a competitive business. In fact, the proposal even supported this belief, with one section listing Happy Dogs as one of six competitors. Not surprisingly, Cheng, a former corporate attorney, didn’t make the investment. Soon afterwards, the suit said, Rodriguez upped the competition, by moving from a downtown Manhattan apartment to Peter Cooper Village in either December, 2013 or January, 2014 and increasing his dog walking business by hiring new walkers and marketing in the area. In February, Cheng said she confronted Rodriguez about the competition and the two parties entered discussions attempting to resolve their working relationship. Rodriguez then indicated he wanted to continue training but not if it meant not competing, the suit said. In March, he gave Happy Dogs a notice of termination under the agreement. In April, Rodriguez announced on Twitter that he was opening up his own center, located at 174 Attorney Street, offering boarding and training. 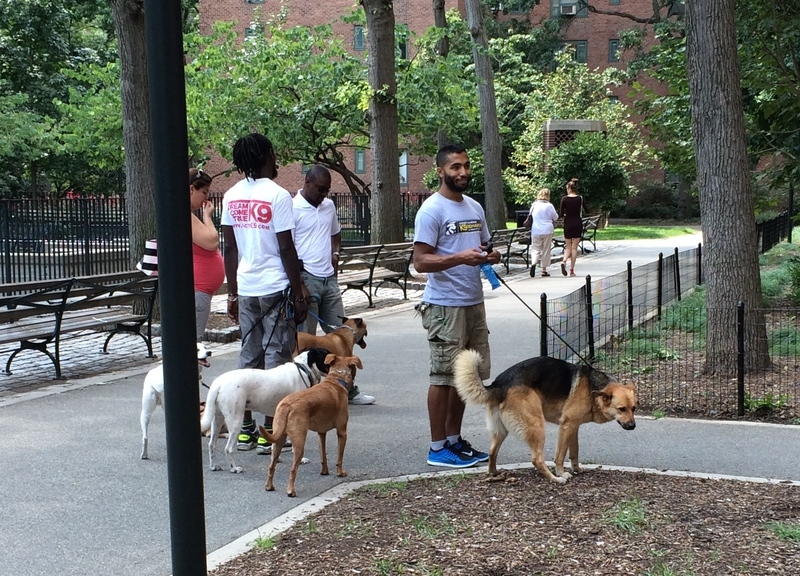 This was within 1.5 miles of Happy Dogs’ Manhattan location and 2.5 miles of the Brooklyn location. In June, Ien Cheng met with Rodriguez at Starbucks over the new location, and said he was told by Rodriguez that the center would not offer daycare services. The agreement at that point, the Chengs said, was that DTCK9 would offer boarding only to board-and-train dogs. However, Ien Cheng said nine days later, after attempting to confirm this, Rodriguez said he would limit boarding to training dogs, the meaning of which Chen thought Rodriguez was possibly attempting to stretch to include any dogs he’s trained, including those at Happy Dogs. On August 7, Rodriguez contacted the Chengs to say he’d no longer be training at Happy Dogs. Since then, he’s been offering board-and-train services at the Attorney street facility, which is still under renovation and has boarded up to four dogs in his apartment, the Chengs said. He also announced, on his website, in September that he’d be offering group training at the new center and also appearing on the site are testimonials that came from former Happy Dogs clients. The suit asks for $50,000 in damages plus legal fees. Reached on Wednesday, Rodriguez declined to comment on the suit, saying he hadn’t seen it yet and didn’t know what it was about. Happy Dogs didn’t return a call for comment by Town & Village’s deadline. A spokesperson for CWCapital didn’t respond to a request for comment on the apartment boarding. Happy Dogs Crappy Dogs! We are hopscotching to avoid stepping into their leavings and schmears all the time. That dog on the dirt patch looks like he is about to take a dump. We have really come down to a level even lower than the PJs. It is irresponsible, maybe illegal, to publish on the internet something as fact when it is alleged. The after note of “complaint says” is not enough. You needed the word alleged or it appears you are judging guilty and condemning in a PR quest. The complaint is probably true, though!